As the holidays start rolling in, sneakers are getting in the festive spirit with models such as a Swarovski-encrusted Nike Air Max 97 “Metallic Gold.” Now joining in on the sparkly theme is PUMA‘s Suede Classic model. 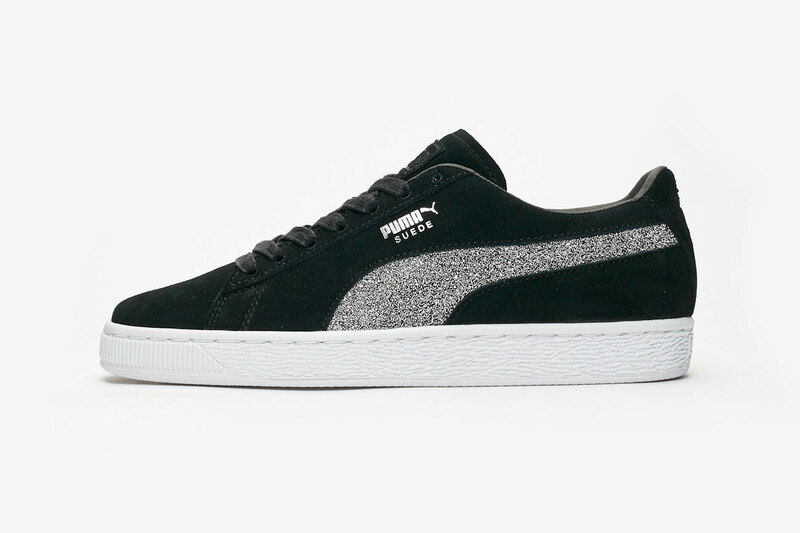 This Swarovski x PUMA Suede Classic model boasts a classic black suede upper that’s upgraded with a silver branding stripe covered in Swarovski crystals. Tonal black stitching and laces keep the color scheme simple, while metallic silver branding at the side and heel counter mirror the Swarovski crystal’s sheen. All of this sits atop a crisp white cupsole for the traditional Suede look. You can pick up the Swarovski x PUMA Suede Classic on December 13 for $240 USD at PUMA’s web store and select retailers. For more festive sneakers, check out the New Balance 1500 “Holiday” pack. Juice WRLD Joins Benny Blanco & Brendon Urie for "Roses"
Rap, rock and pop collide.